Available in ceramic SMD or metal through-hole holders ranging in size from a standard HC-49/US to ultra miniature 2.0mm x 1.6mm 4 pad surface mount units. Tolerance/Stability available to 10/15ppm With both MHz and KHz frequencies to select from. 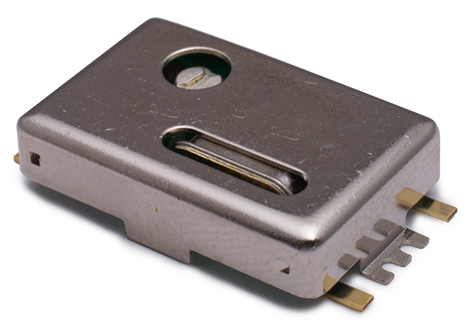 Available in through-hole or surface mount designs ranging from a standard 14 pin dip to an ultra miniature 2.0mm x 2.5mm. HCMOS/TTL, LVPECL & LVDS outputs with stabilities as low as 10ppm and frequencies as high as 1.50GHz and up to 4 frequencies in a single oscillator. Available in miniature packages as small as 5.0mm x 3.2mm or metal can through-hole packages as large as 20.0mm x 20.0mm. HCMOS / TTL or Clipped Sinewave output with stabilities as low as 1.0ppm. Most units have a VC option. Available in miniature packages as small as 5.0mm x 7.0mm ceramic SMD or 20.0mm x 20.0mm metal can through-hole. HCMOS / TTL, LVDS, or LVPECL outputs with frequencies as high as 1.50GHz and up to two frequencies in a single VCXO. Available in SMD or metal can through-hole packages. Sizes range from a standard 14pin dip to 36.1mm x 27.2mm. HCMOS or Sinewave outputs to select from with stabilities to 50ppb. © 2012 Crescent Frequency Products. All rights reserved.